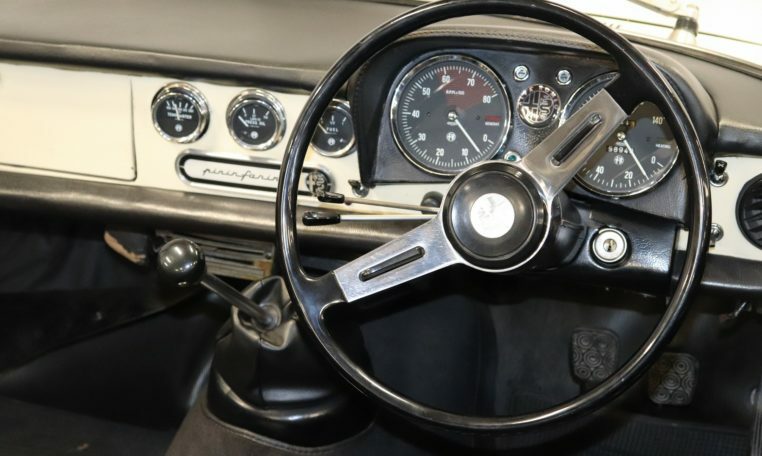 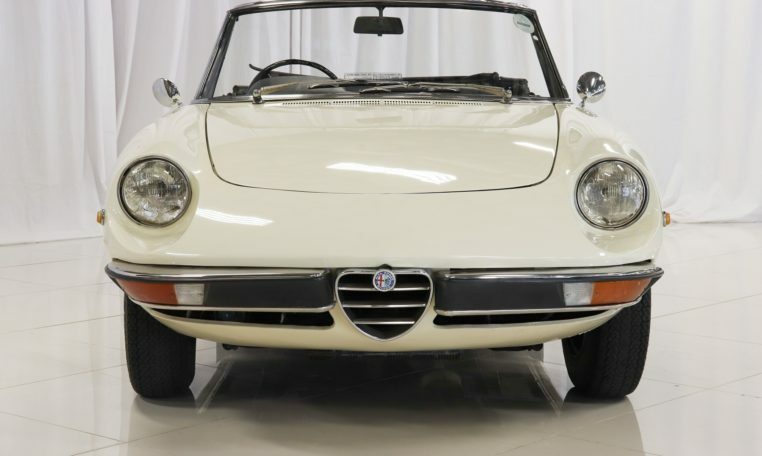 This 1969 Alfa Romeo Spider 1300 Junior is finished in old English white with black vinyl interior. 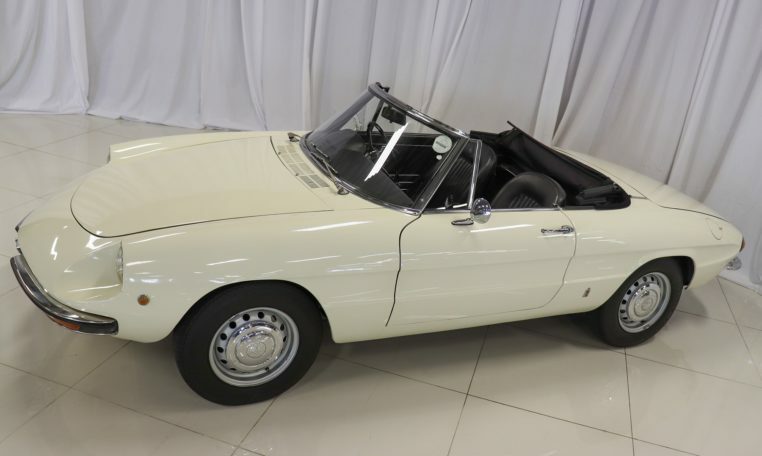 The Alfa Romeo Giulia Spider Duetto ran from 1966 to 1969 the first of four generations of the spiders. 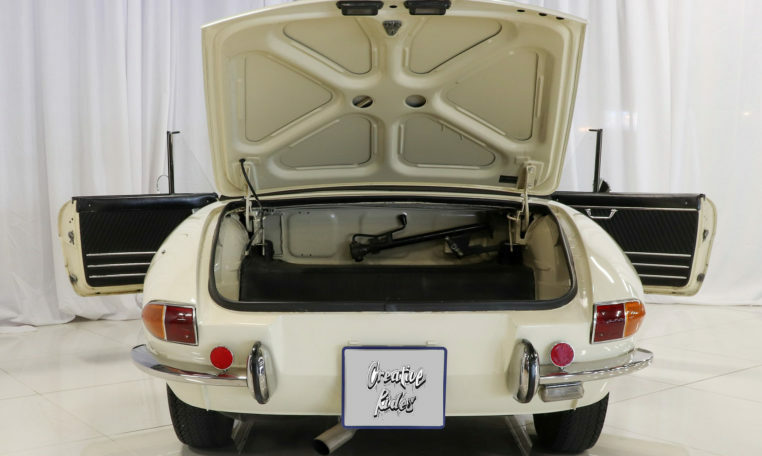 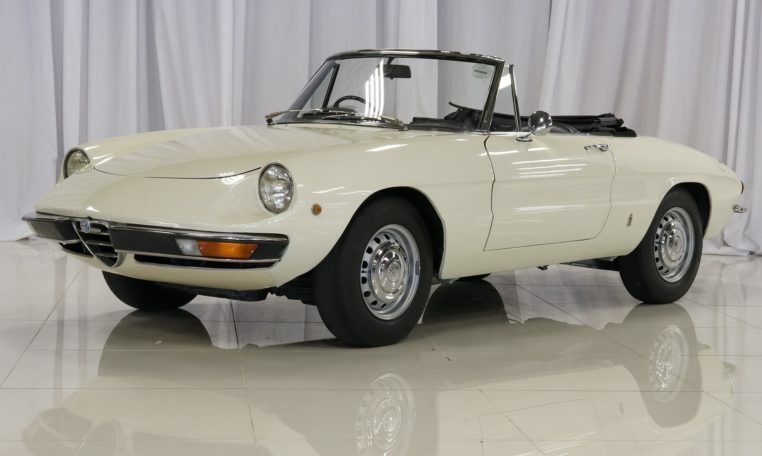 Launched at the Geneva Motor Show in 1966,the name Duetto came from a competition held in Italy. 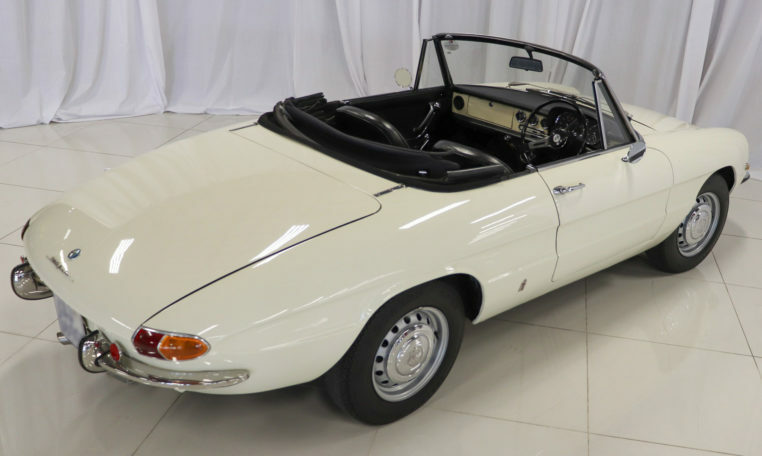 Pininfarina were responsible for the design of the body and for the cars monocoque construction. 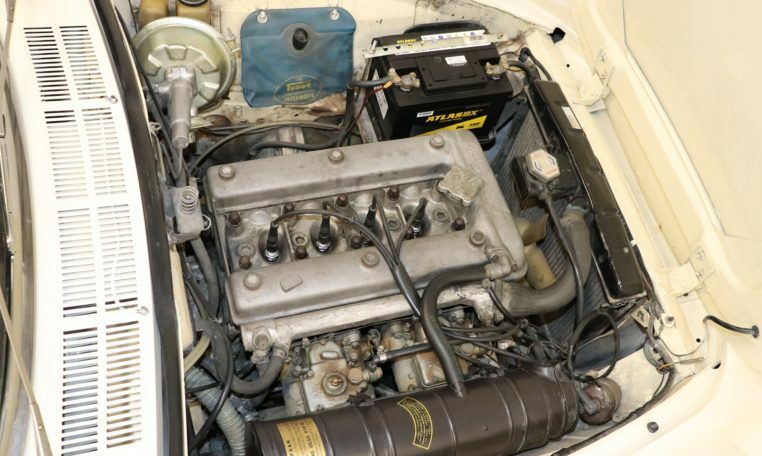 In 1968 this version the 1300 Junior, with a 1290 cc engine producing 89 hp (66 kW), was introduced. 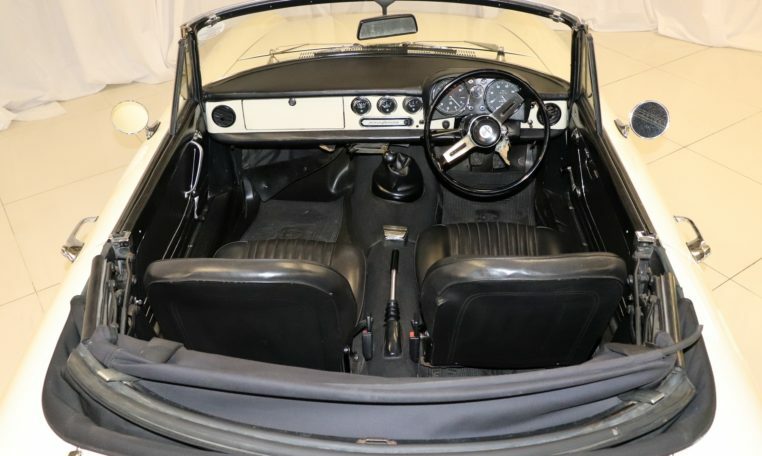 The Jr. had deleted, the plastic headlight fairings, the brake servo, hubcaps and opening quarter light. 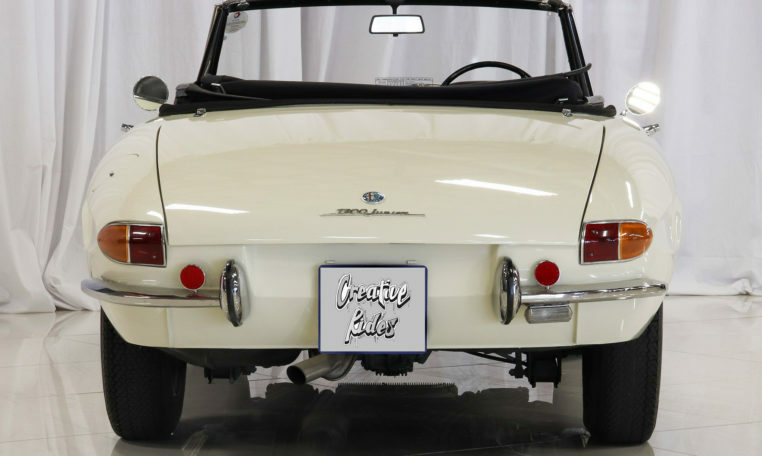 Due to its round tail the series 1 is known by the nick-name “Osso di Seppia” Italian for cuttlefish bone. 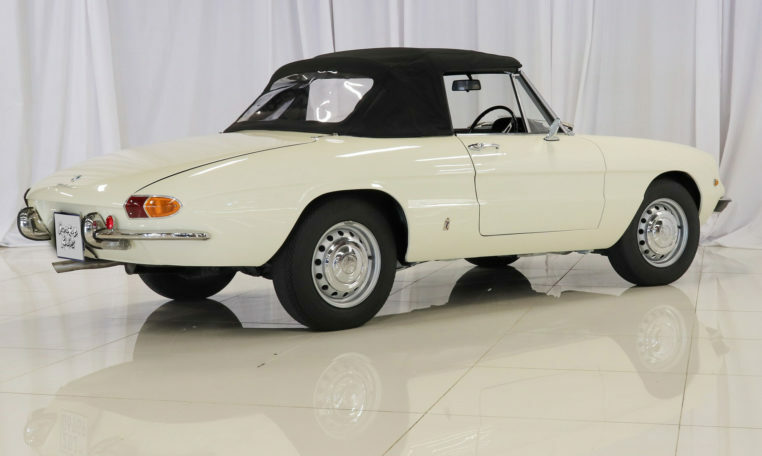 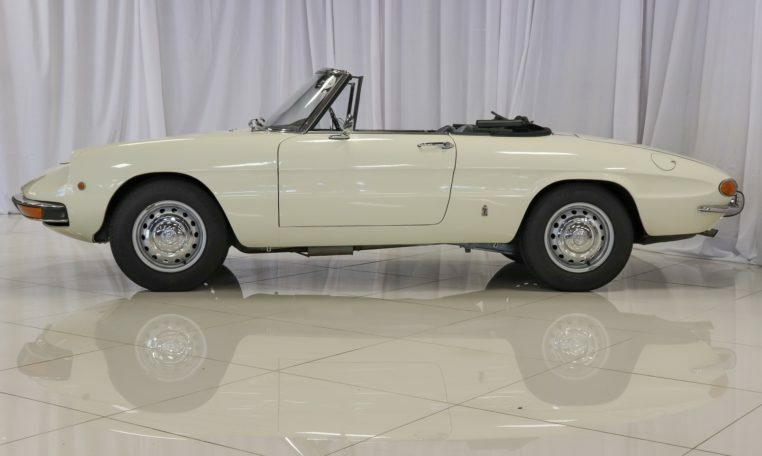 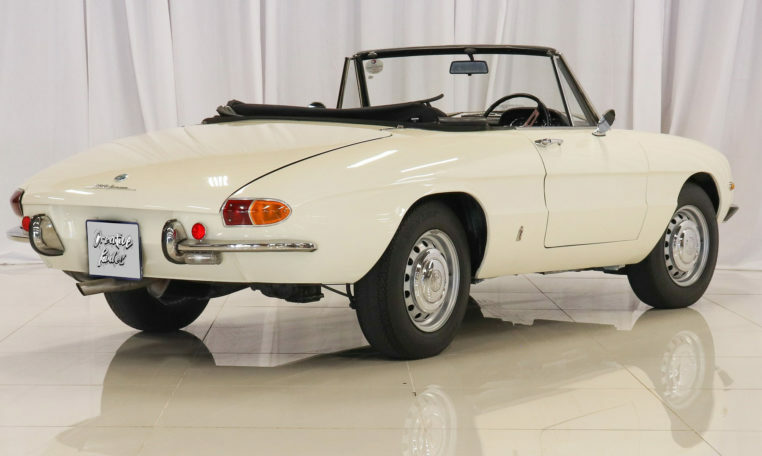 This Alfa Spider Duetto was made famous when driven by Dustin Hoffman in the hit film the Graduate in 1967.